I’m an independent freelance book jacket designer. Throughout the year, I design a small number of covers for a handful of publishers and supplement the income with either a day job or other freelance. The best reflection of being an independent book cover designer—aside from the late nights, pirated software, and greasy takeout—is the way in which your designs are rejected. While it can be disheartening to see covers go to their grave, their reasons for rejection are completely valid. It falls on me to be able to argue for them, but more often than not, I’m wrong. There have been times where I’ve gotten a manuscript the same week as the deadline, and only had time to read the first ten pages, the summary and the last ten pages. Chances of me properly interpreting the visuals in that kind of situation are unlikely. And it gets a whole lot less likely when you have a full-time job. If you look in the stores you’ll see a masterwork of literature that looks absolutely atrocious next to a bargain bin self-help book that looks just beautiful, and ultimately it’s all just a case of misfired signifiers. It’s our job to prevent these kinds of things from happening. But how do we prevent the atrocity of bad aesthetics from permeating the world of literature? The actual process of designing a book jacket is more than just reading the book and making a beautiful image with your favorite font and slapping it on the front. A good cover should represent the spirit of the book and celebrate what makes that book unique. So then why do so many covers fall for the same visual clichés as so many other covers? Go on down to your local online book dealer and you’ll see bargain bin stock photos adorned with tiny endorsements about how this book is so, so much better than other one you’re about to click on. In order to get a book cover approved you have to get the sign off from the art director that you’re working for, the marketing department, the author, the editors, sometimes even the author’s spouse, their milkman, or their next door neighbor. It’s a nimble game of politics that you have to play to get the vision that you have for a cover into the bookstore. And it’s a game where design is often the loser. The publisher wants the book to sell, the designer wants the book to look good, and the author wants the cover to match their vision of what the cover of their book should be. And almost always, these three are at odds. There is a lack of definition for “what looks good” and a shaky science as to “what will sell” and authors are so close to their books it can be difficult to find out what it is that they actually want. The language of aesthetics and the aesthetics of language need to trust each other. It’s important for designers to be more acclimated with what it is that a publisher is looking for as to what will sell. Compromising that business by stretching your typefaces to the point of unreadability may not do you any favors. Ultimately it’s the author’s book, and they know it far better than you do, so really it’s their opinion that matters the most, even if they are not familiar with the fundamentals of good design. The majority of book covers that I do are for New Directions, an independent publisher with a long history of excellence in jacket design, to say the least. I started doing covers for them through my first job as a designer for Paul Sahre after he recommended me to continue a series of poetry pamphlets he had started designing while I was working for him. They have a storied relationship to quality designs with work by designers such as Alvin Lustig, Gilda Kuhlman, and Rodrigo Corral and working with them is nothing but symbiotic. 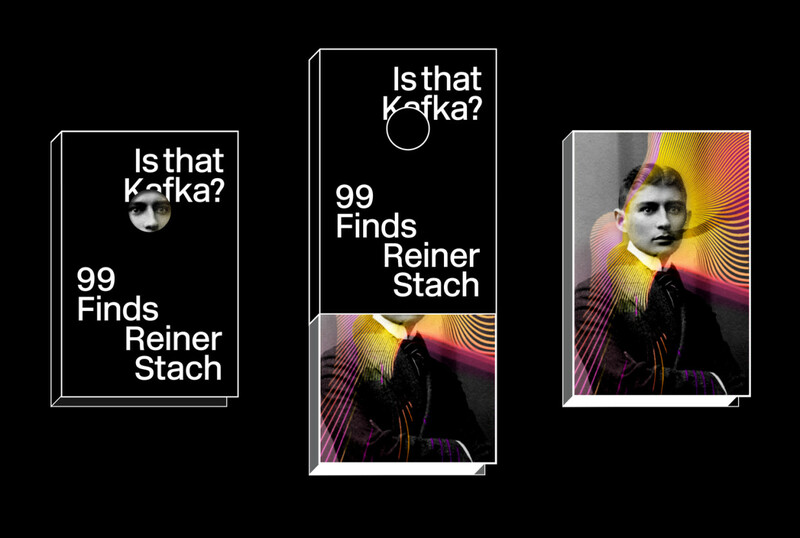 A recent jacket I designed for them was for Is That Kafka? 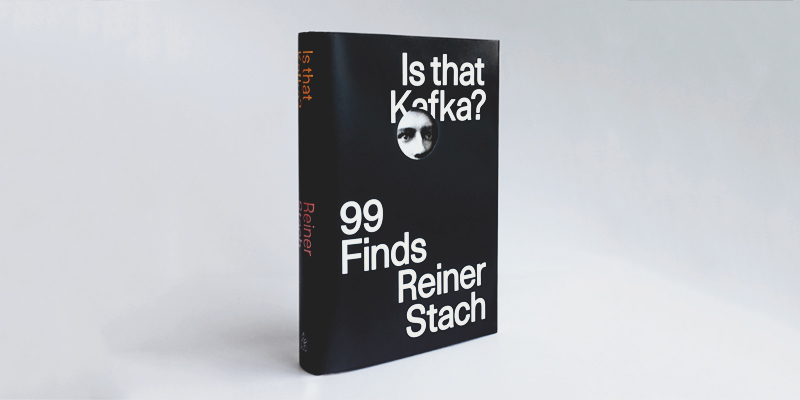 99 Finds, a new biography of Kafka that uncovers curious facts like how much beer he liked to drink, his proposal for a budget travel guide, postcards to his sister, and how no one could really figure out the color of his eyes. 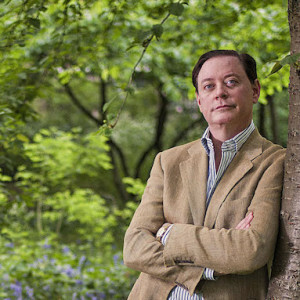 It’s a humanizing portrait of an author who is often characterized as the epitome of the paranoid loner. When I first designed this comp, at about 11pm on a Tuesday, the idea was just to play with the title of Is That Kafa? by cropping in a photo of him close enough to obscure his identifying features forcing the viewer to ask the titular question. While this is a cleverly stupid idea (Nic Hughes’s The Anti-Click is a beautiful rebuttal to this “A Smile in the Mind” way of thinking), on some ex post facto examination I think it was able to accomplish the same goals as the book. The outer cover’s stark minimalism reflects the public’s idea of Kafka, while the inner cover is more accurate to what the book is trying to portray (Peter Mendelsund did an excellent redesign of Kafka’s complete works and had a similar inclination to “let some of the sunlight back in.”) It’s hopefully as visually wavy as Kafka may have felt after he got drunk by the Moldau. Looking again at this cover, I maybe should have tried a few other directions that didn’t just have an author portrait with some wacky colors (every designer has their bag of tricks.) And it looks a bit like my old mentor Paul Sahre’s Lispector jacket that just came out—from none other than New Directions (the influence of a teacher can be inescapable). And maybe those colors are still a bit too tutti frutti. But since the publisher and author were so willing to take a risk on the minimalism of this cover, the end product was able to hold up an idea that was appropriate to the book and could stand out in the typically trite world of biographies. It’s far from perfect but there’s always another jacket that needs to be designed harder. 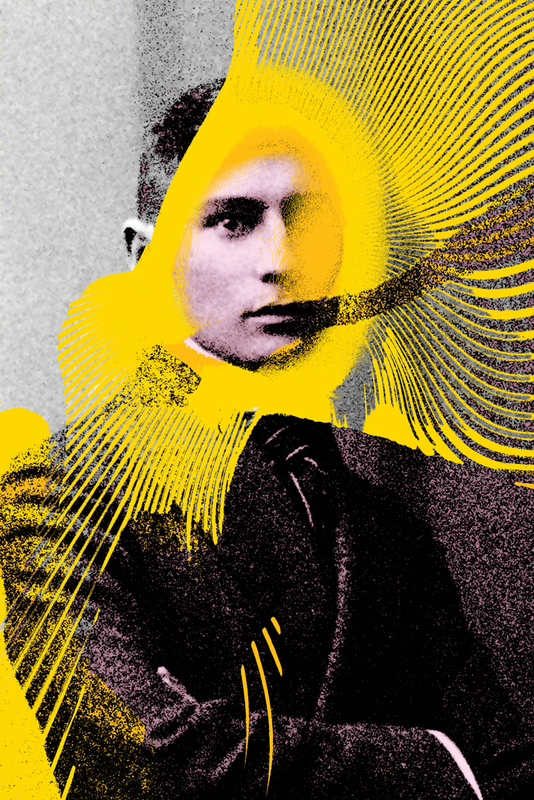 Erik Carter is an independent graphic designer and art director based in New York City. He previously worked as a senior designer for Richard Turley at MTV, as an art director for The New York Times, and a designer for Paul Sahre at the Office of Paul Sahre.